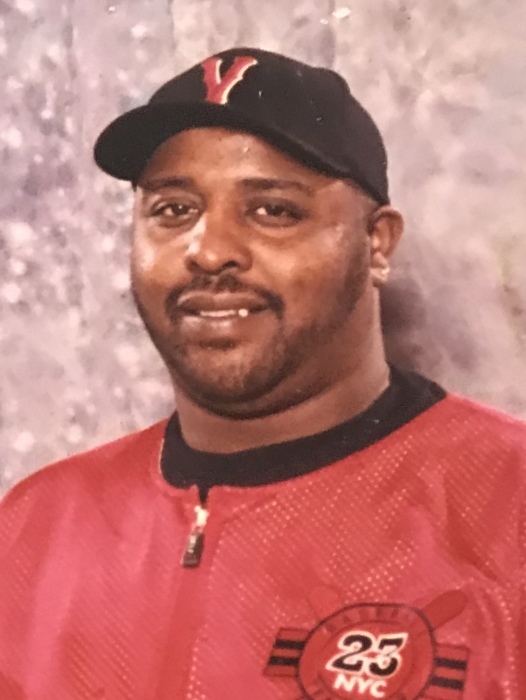 Obituary for Donald Thompson | Bell Funeral Home, Inc.
Donald Thompson 55, of Providence, RI passed away on Sunday, November 25, 2018 at Rhode Island Hospital surrounded by his loving family. He was the beloved husband of Lois M. (Smith) Thompson. They were happily married for 25 years. Born in Jamaica Queens, NY, he was the son of Pauline (Hall) Thompson and the late Leon Lee Thompson, Sr.
Donald was a supervisor at Antonelli Plating for 25 years. Donald was the youngest brother of five in a family of 12 children. He was a loving, kind and humble man. Donald was loved by many, as he was a man of few words with a big heart. Donald always smiled and encouraged others. He was a hardworking family man. Donald was the kind of person you could count on. He was very supportive of his family and friends. After Donald’s father passed away, he stepped into to the role of protector of his seven sisters. Besides his wife and mother, he is survived by his loving children, Pauline Thompson, Adreanna, Kristen and Ronnie Smith. He was the devoted brother of Robert Thompson, Leon Thompson Jr., Joanne Horton, Charles Thompson, Sr., Tyrone Thompson, Vivian Worthy, Elaine Taylor, Theresa Thompson, Michele Parsons, Josephine White, and Marlene Davis. He is also survived by his cherished grandchildren, Edward, Jaywaun, Crystaal, Deanna, Kannon, Divyine, Amiyah, Yaselis, Erick and Matthew. He also leaves a host of nieces, nephews, great nieces and nephews that loved and adored him.